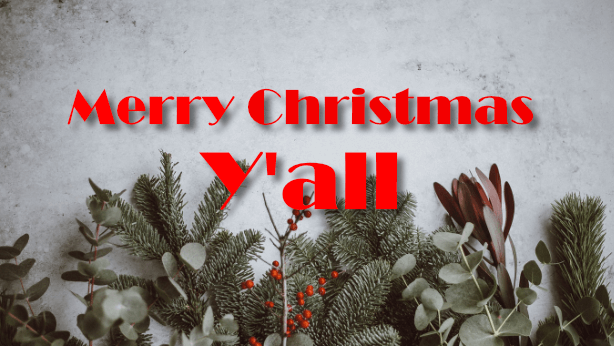 With Turf Managers LLC being a born and bred Tennessee company, it is impossible to go through a Tennessee Christmas with out saying Merry Christmas Ya’ll. We wish you all a very Merry Christmas and Happy Holiday season and we hope that this season will be one for the memory books. As we head into the Christmas season, we realize that you all have a lot to do and looking at the yard is the last thing on your mind. We are in the process of getting leaves picked up, trimming shrubs, mulching, installing trees and shrubs and landscape renovations. Now is also a great time to let us plant Daffodil and Iris bulbs. If you have been holding off on any of these services, NOW is a great time to get things cleaned up before Christmas visitors come. Let us customize your landscape needs to meet your budget. There are a LOT of options that we can offer. We can come up with a step by step maintenance plan that can help maintain the landscape at a higher level by tackling a section of the landscape with each visit. An old favorite saying of ours is “It’s easier to eat an Elephant one bite at a time.” So, don’t look at your landscape projects as an Elephant, let us help maintain your landscape one bite at a time without taking a bite out of your wallet. Now is the time to take advantage of our annual Prepay options!!!! This is the time of year to enjoy savings of 10% for the 2019 season for services that you have enjoyed year after year. Not only will you save 10% by prepaying for your services, you will also stream line your service schedule and won’t have any pesky bills ALL YEAR LONG!! Here is the list of eligible services for 2019 prepayment. Keep a lookout for a prepayment letter that will come in the mail in the next few weeks. Here is a small list of helpful information about Turf Managers- We have office staff in the office from 7am-5pm Monday through Friday to help you with questions or concerns. We are easy to communicate with. You can call 615-269-7706, Fax 615-269-6675, email Support@turfmanagersllc.com or Helpdesk@turfmanagersllc.com, Text 615-933-9029 OR the old fashioned snail mail route by mailing a letter to 2418 Felts Ave Nashville TN 37211. We LOVE hearing from our customers. We hope you and your family have a Happy and Blessed Holiday Season and Merry Christmas!!!!!!!! !